The Nikon ProStaff 7 6x21mm Laser Range Finder 8395 is the latest next generation tool built for precision, speed and consistency out to 600 yards. This Range Finder from the experts at Nikon features multicoated optics, an incredible .1-yard display, and lots of added features that make it stand out from the crowd. The Nikon 6x21mm Prostaff 7 Laser Range-Finder features Nikon's legendary multicoated optics, waterproof/fogproof ruggedness, pocket-sized portability, long eye relief, Tru Target Technology, unique switchable display and Nikon's ID (Incline/Decline) Technology. Nikon's advanced ID Technology compensates for various incline or decline shooting angles-up to an incredible +/- 89 degrees (nearly vertical up or down). 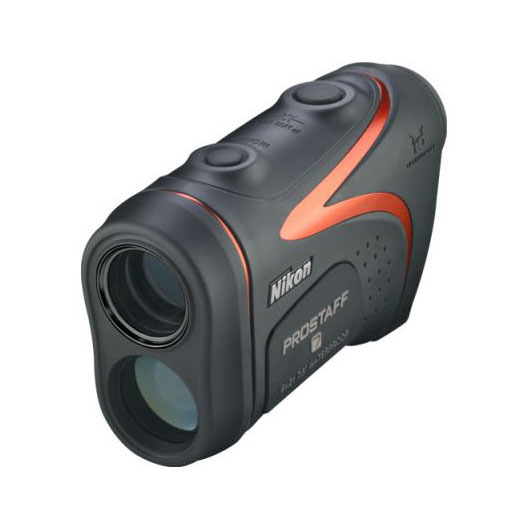 For a great way to make sure you have the perfect hunting advantage, choose the Nikon PROSTAFF Seven Laser Rangefinder.